Discussion in 'New Builders Corner' started by sirnamel3ss, Jul 15, 2018. 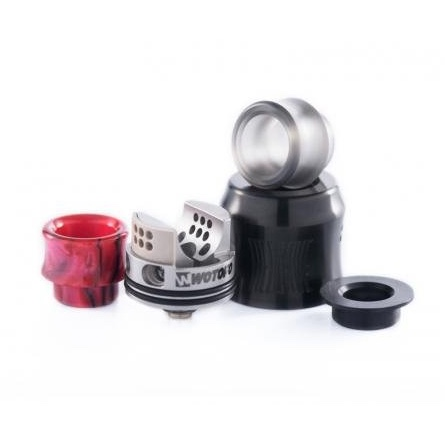 I’m trying to decide on an rda to get for my first building mod. I have my heart set on the ReCurve RDA and the Lit RDA. The recurve looks to be a great coil starting tank, with accessories that help with wire trimming, non-leaking well placed air-flow, etc. 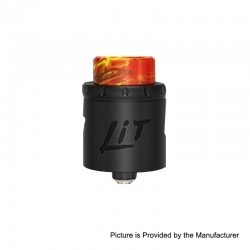 the Lit RDA is a mesh rda, and from what I’ve read would take some more advanced training to use, but is easier to build on. Does anyone have experience working with regular coils and Mesh coils that could help me determine what I should use? Side note: planning to use the RDA’s on a 5-80w squonk mod. IDK.. looks a bit gimmiky to me. Like maybe a good idea in theory if you are concerned with the amount you spend on cotton.. but.. to what real advantage? I would say the price of just 1 of those coils would buy a hell of a lot of cotton balls. Well, for first time builders, they are both fairly easy to build on. I would go with the lit, just because I think mesh is the way to go. You have to make sure your wicking it tight through the mesh though. But, like I said, both are really easy to build on. The recurve has a couple tools that come with it to help you clip your leads at the exact length to fit and a screwdriver. But that’s not a reason to buy it. It’s not hard to clip your leads. Always clip longer bc if you go to short the coil will be trash. One thing about the recurve that I like is the think chamber wall, which is about the thickest I’ve seen (around 2mm thick), which helps with the taste. The mesh coil does take a little practice but just look up on YouTube “building on a lit mesh rda” and you’ll find some help. Hope this helps! This helps a lot actually! 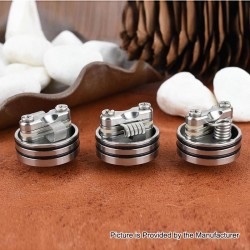 I have decided to go with the Recurve RDA since the coils will be smaller and will use less cotton, but I fully intend to upgrade to the drop in a short while. Thank you again! Welcome @sirnamel3ss and I hope you enjoy your stay~! Since I do not have any experience with either of the RDA's I can't help much except don't listen to the suggestions from someone with NO Experience. Good Luck and @bomatttt seams to be the one with some good 1st hand experience.